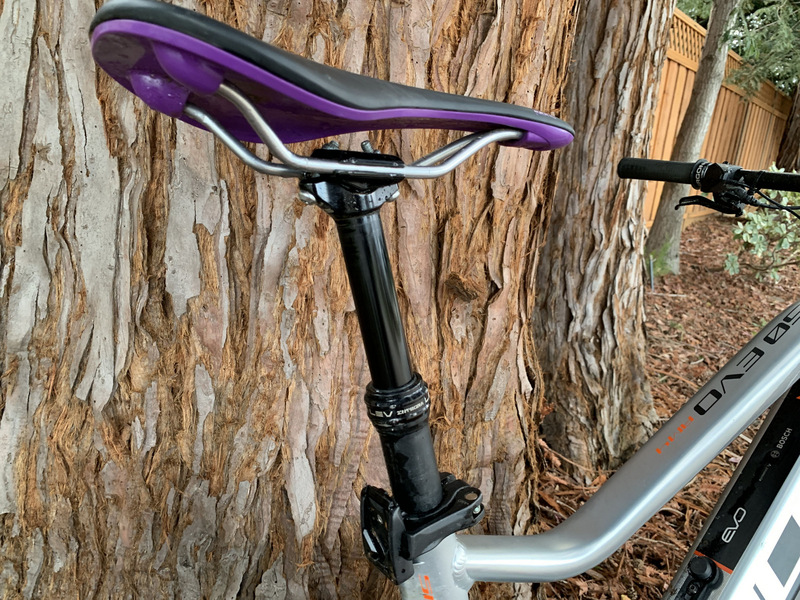 This bike with a difficult moniker to remember, the SIX50 EVO AM 4, is a 150mm front and rear travel bike that features every top-shelf component that Bulls Bikes could throw at it. Silver with splashes of orange, the frame is hung with a Fox Factory 36 Float and Fox float rear shock. The best stoppers around, the 203/180mm Magura MT Trail brakes are responsible for stopping thi beast. And it’s big responsibility indeed with a weight of 56 lbs. 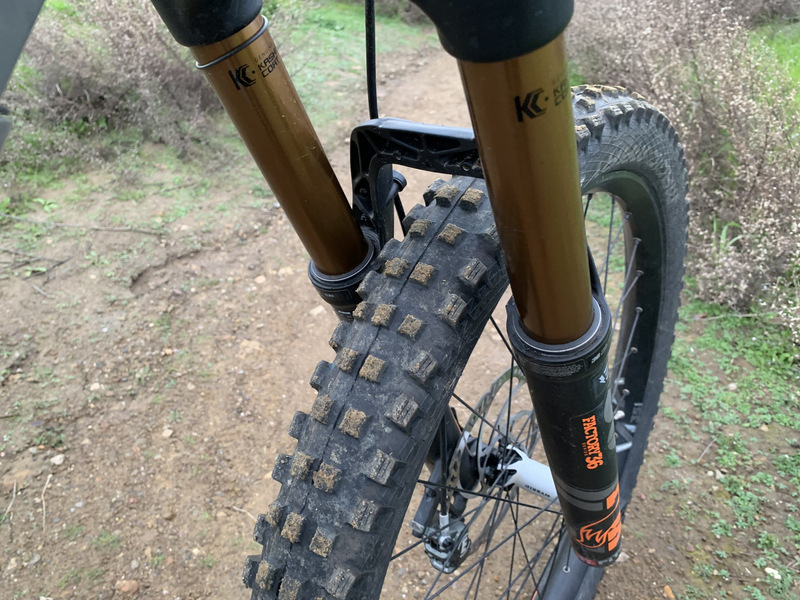 KS Lev dropper and Schwalbe Magic Mary tires on 27.5 wheels are the other key components. And the heart of the system is the Bosch CX Line motor and electronics with an internal 482wh battery. 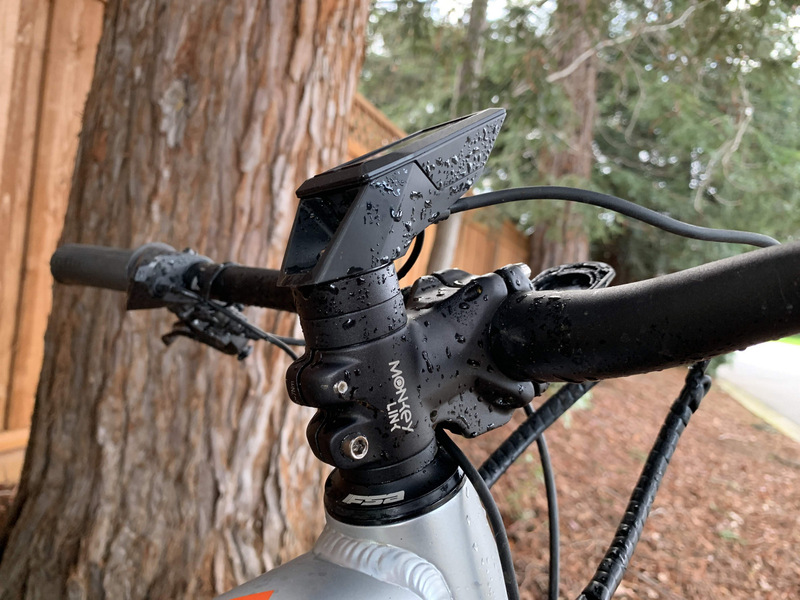 It has their newest head units called the Bosch Purion which is compact and can be stem mounted. 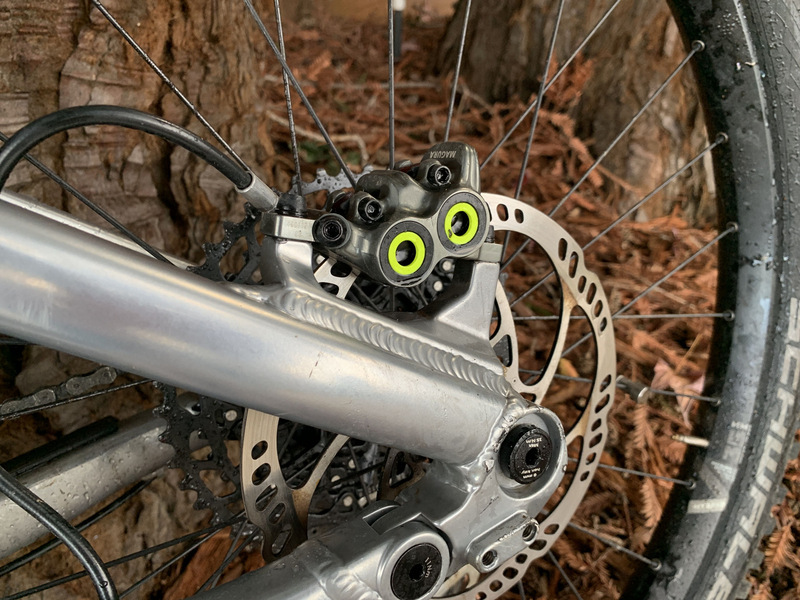 And it features the long-awaited Bulls technology called MonkeyLink which is an integrated system with mounts and magnets that talk to the battery and head unit of the motor. The Purion display is need and magnet mounted. But It’s too high when perched on the stem cap. 5 years ago, 95% of Mtbr users were against mountain bikes. In our poll last year, 20% were interested in buying one and another 20% were undecided and were open to trying one. 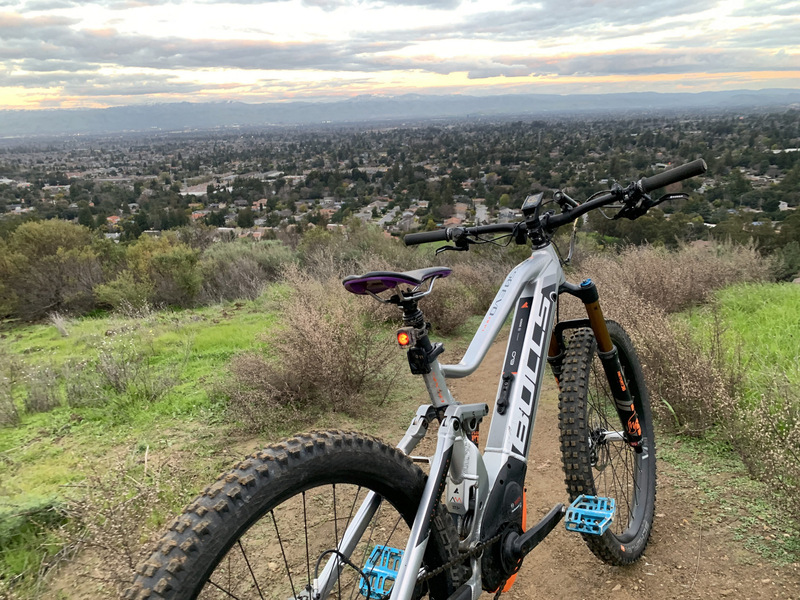 Though still not the majority, sentiments are clearly changing as folks either see their peers purchase one, they try one and discover some of the things that ebikes enable. 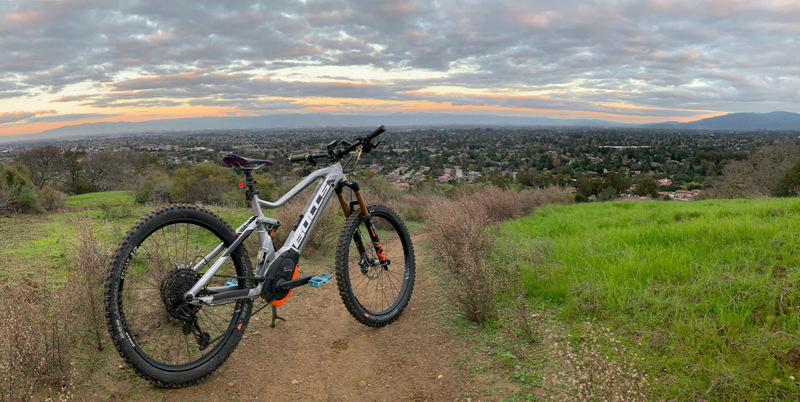 It uses the Bosch CX Line motor and its awesome eMTB mode that allows you to stay in one mode the entire ride. We asked for this test bike because it contained many of the components that we wanted to see in an ebike. The motor, the display, the suspension, and brakes all delivered in spades. But the setup and the frame itself was not ideal for us. 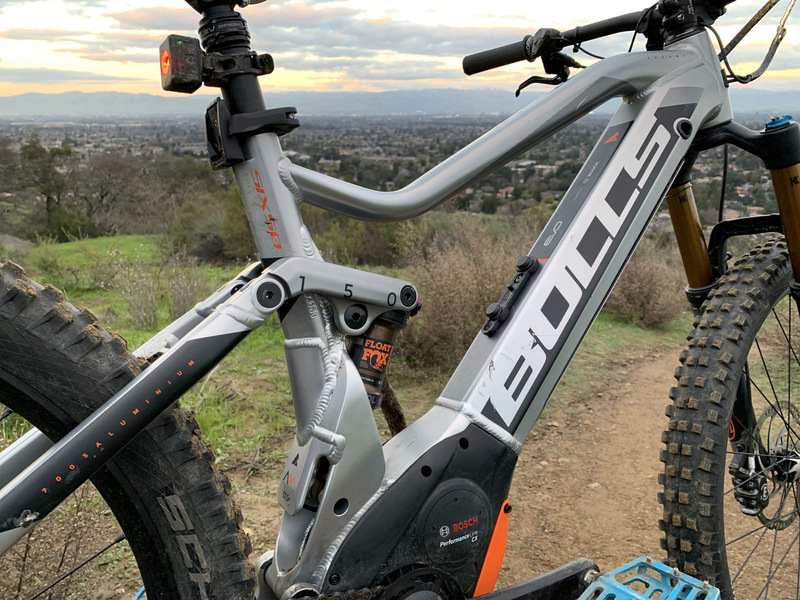 It’s a bit dated, not quite to the level of the carbon Pivot, Levo and YT it competes with. But it still has its bright spots and we had a satisfying few months with it. Geometry works but it’s what you would see in top end all mountain bikes of 3-4 years ago. Head angle is 67.5 degrees and seat angle is ok at 74 degrees. Chainstays are fairly long at 480 and reach is long enough for a medium at 450. Head tube is long at 110mm and standover is just fair at 840mm. 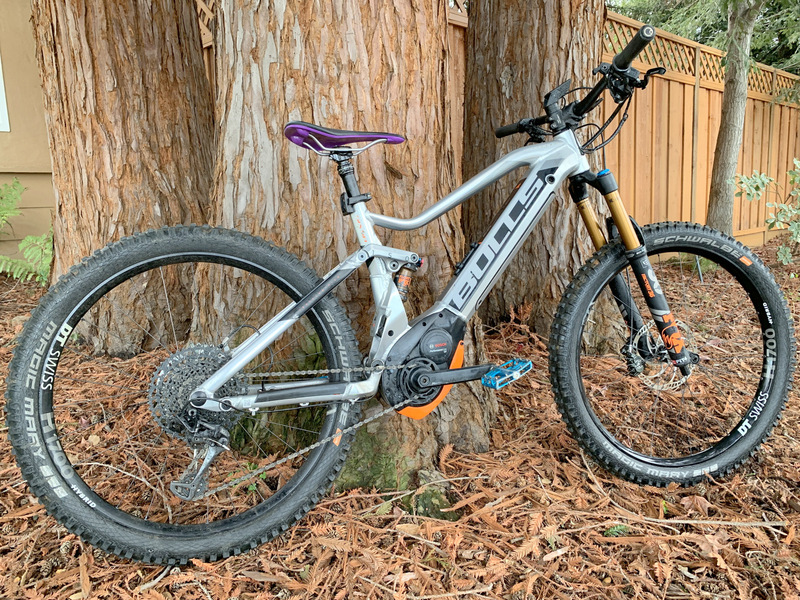 Check out what Adam from Bulls Bikes has to say and how this bike fits in the line. 56 lbs is a lot and that was one of the surprises of this bike. Usually, bikes at this price point and travel are under 50 lbs these days. But it’s an aluminum frame, and the motor and battery turn out to be quite heavy. 8.8 lbs for the motor and 7.9 lbs for the battery are at the core of this weight issue. 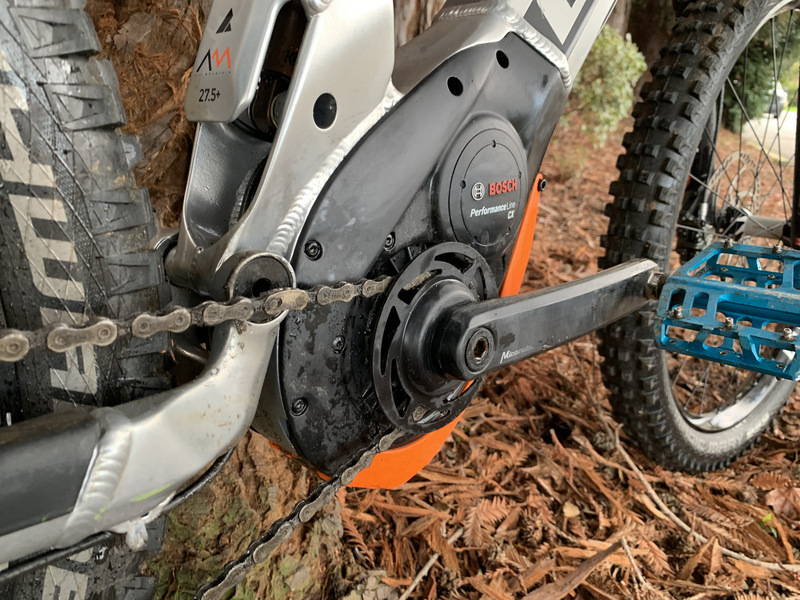 Some mis-informed folks say that weight doesn’t matter on an ebike since the motor does most of the work. Well, typically, the rider contributes a third or a half of the pedaling power so the work is certainly present. 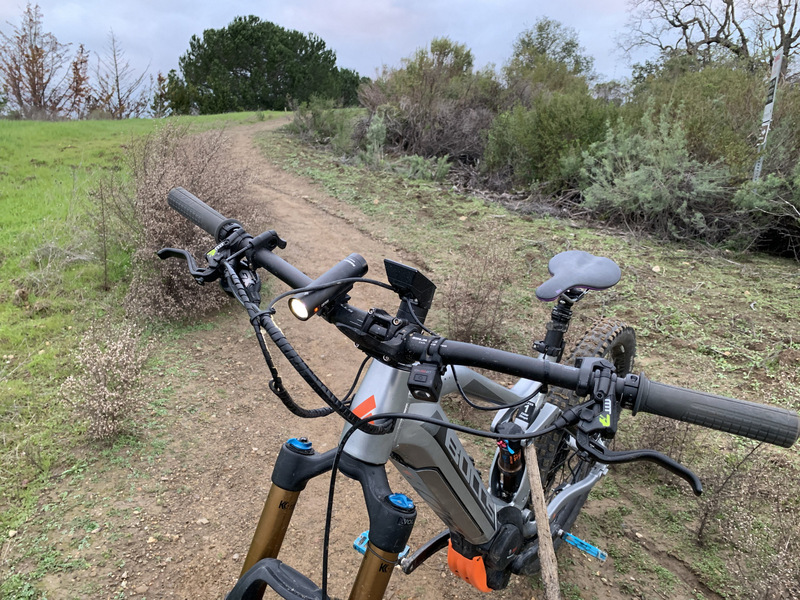 We’ve used 40 lb and 60 ebikes and they certainly behave quite differently. But we have a good summarization of when weight matters in an ebike. In a nutshell, the slower you go the more you’ll notice the weight. The worst is when you’re not moving at all and you have to lift your bike on to the bike rack or move it around in the garage. That’s when you really feel it’s mass. 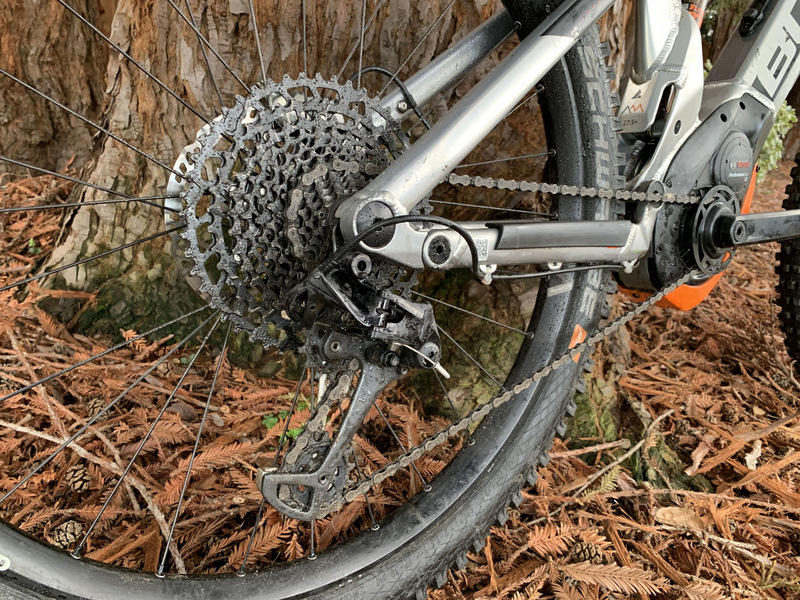 But when riding, the slower, techier and tighter the trails you’re riding, the more you’ll feel the weight. When you have to change direction a lot in technical, rolling terrain, it’s noticeable. This bike is a bit front heavy as well. With that motor angled forward and the 7.9 lb battery up on the downtube, it’s a bit forward biased. It translates to good forward traction but it’s tippy as well as the front will drop faster than you expect on a ledge or rock drop. The rider can compensate for this after a few tries but its something to be aware of when jumping or doing a lot of big drops. This system is a little heavy and it has a bit of drag when not using the motor but we like it. It’s quiet enough and the power is very useable. It comes on smoothly every time and its got gobs of low-end torque. 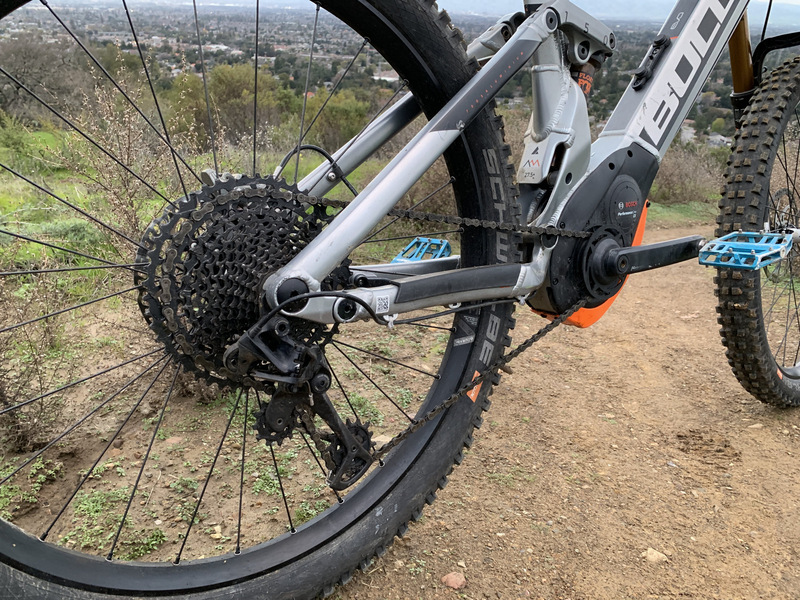 Run-time is not impressive at 480 wh on this heavy bike with Magic Mary tires but it is competitive especially with the motor modes like the eMTB mode. This is the ‘just right’ mode that Bosch has achieved where it gives you just a little bit of assistance at the start of the curve. And when you’re giving it all you’ve got, the mode will give you everything the motor’s got. The result is less need to switch motor modes. And the battery is conserved as well as it has less tendency to overboost you with power when you don’t need it and not exerting that much. This is a tough one. While we like Bulls Bikes and their motor independence from a single manufacturer, we feel they didn’t hit this one out of the park. 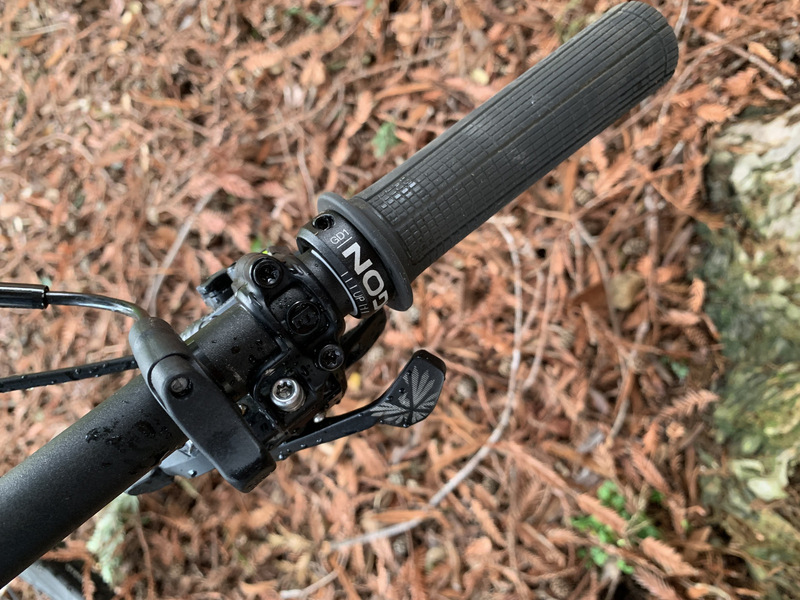 It has some of the best available components but they might have gotten carried away throwing parts on this frame without updating the actual frame to modern all mountain needs. And the weight kind of got out of hand at 56 lbs. Weight doesn’t matter that much on big climbs but the slower you go and the tighter terrain you tackle, the more you feel it. But, we had about two dozen rides with this bike and its fair to see we had a pleasant hoot each time. It’s strength is that is is plush and its fairly easy to maneuver at speed. So we just climbed the highest local hill and let the brakes, tires and capable suspension shuttle us down. A fun bike indeed but there are other choices at this price point and travel range. 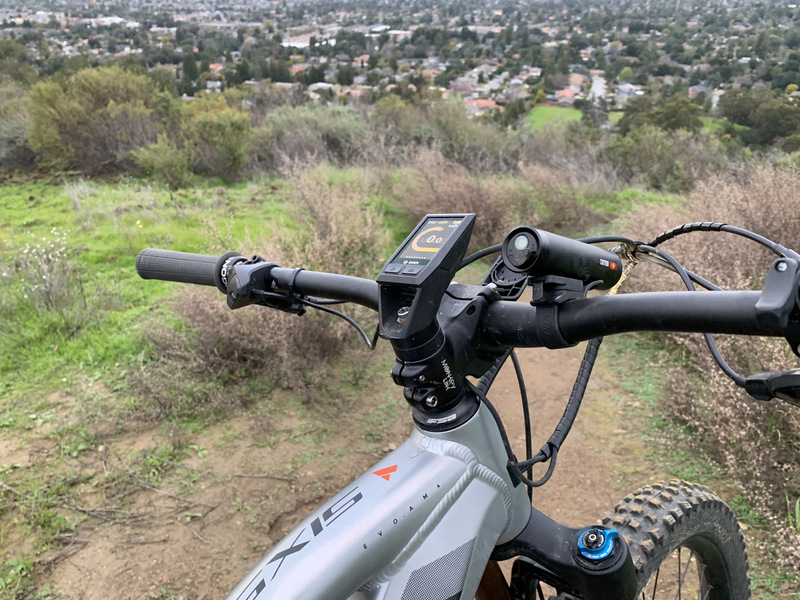 It uses the Bosch CX Line motor and its awesome eMTB mode that allows you to say in one mode the entire ride. Why mess with this when YT has you covered for less!